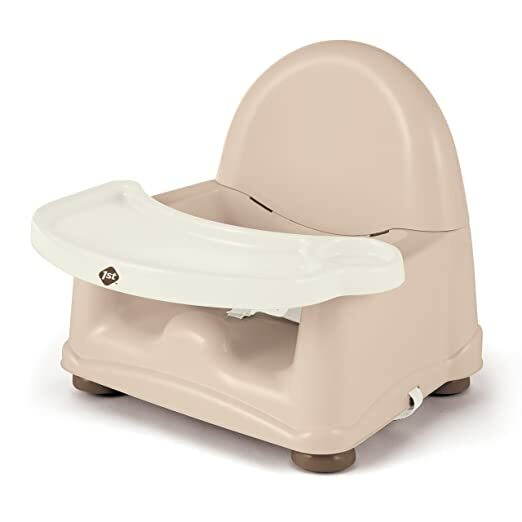 Target Daily Deals for Today (5/18) has this Graco SimpleSwitch 2-in-1 Highchair and Booster Animal Time priced at $64.99 (reg. $89.99) plus Free Shipping. Use the coupon code “I77QSLJ2” at checkout to get an additional $5 off, so Final price will be only $59.99 shipped. -Minimum Weight Supported: 5 lb. -Maximum Weight Capacity: 40 lb. 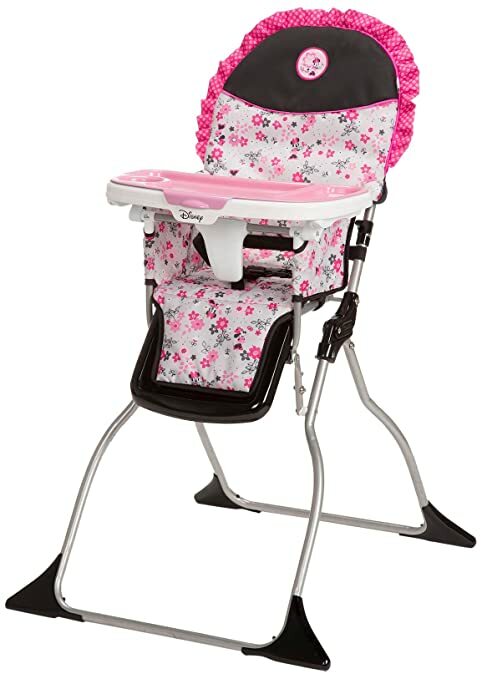 -Dimensions: Height: 43.0"; Width: 23.5"; Depth: 28.5"
As a comparison, Amazon sells this Graco Animal Time High Chair for $77. Amazon 现在 this Graco Meal Time Highchair 降价后 for only $43.8 with free shipping (reg. $79.99). 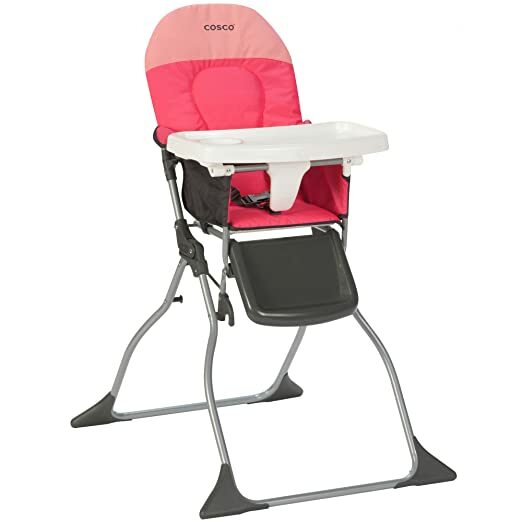 This highly rated highchair has 4 height positions and 3 recline levels. It also comes with a removable dishwasher-safe tray and folds easily so it can be conveniently stored. 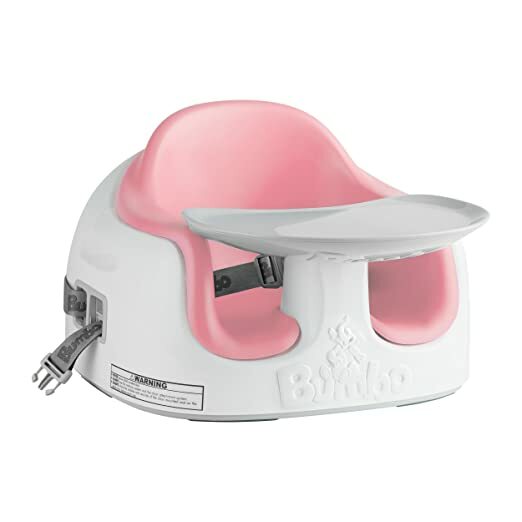 Amazon now is offering up this highly rated Bumbo Multi Seat in Light Pink for ONLY $35 (regularly $44.99), and Free shipping，Free returns. in-1 seat functions as a floor, booster and feeding seat. Amazon 现在 this Disney Minnie Simple Fold Plus High Chair in Garden Delight, 打折降价 for the lowest price of $30.99 (regularly $59.99). As a price comparison, this same high chair is priced at $59.99 on Target.com! Amazon now you can buy this Fisher-Price Rainforest High Chair for only $77.34 (regularly $139.99) – best price! 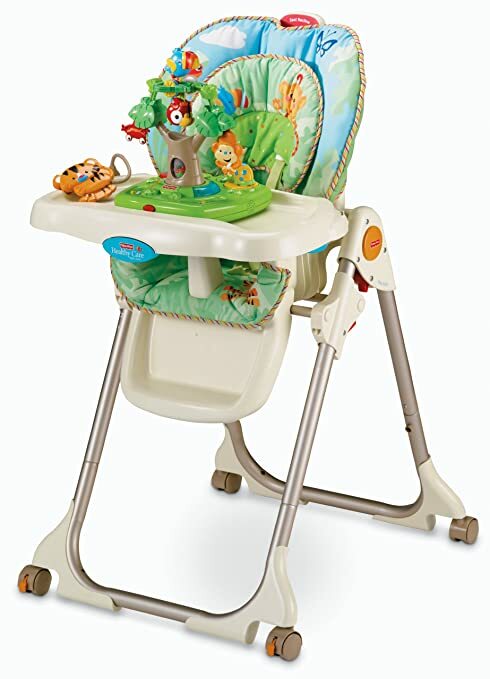 This high chair features removable straps that are easy to clean, a padded seat and a rainforest toy set! 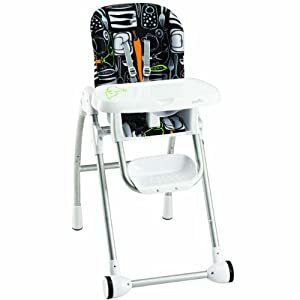 Amazon.com now you can buy this highly rated Graco SimpleSwitch Convertible High Chair to Booster Seat in Zuba for just 50.40 shipped – regularly $79.99! Please note that this low price is valid for Prime members only. 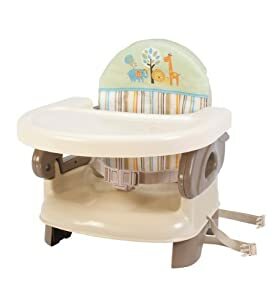 This 2-in-1 baby high chair grows with your child – it features three recline positions and easily converts from a high chair into a booster seat. 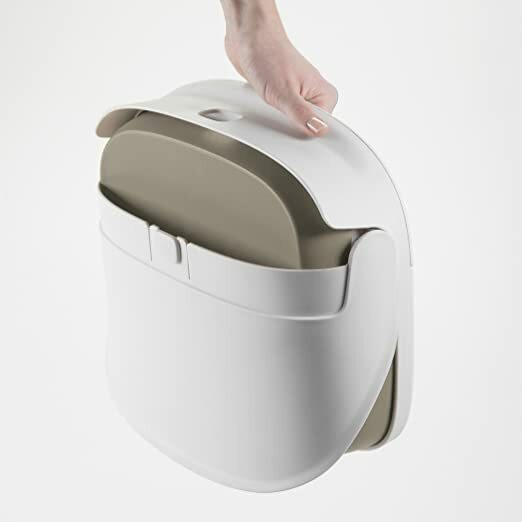 And it features a machine-washable seat pad that makes clean up easy! 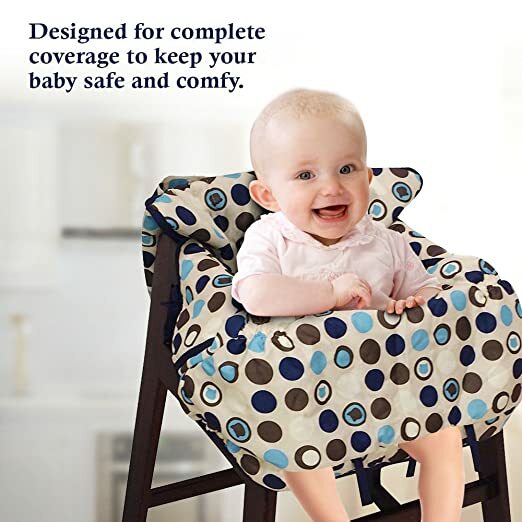 Today only, Amazon.com is offering this Crocnfrog 2-in-1 Shopping Cart Cover/High Chair Cover in Dot Print for only $13.99 (regularly $46). 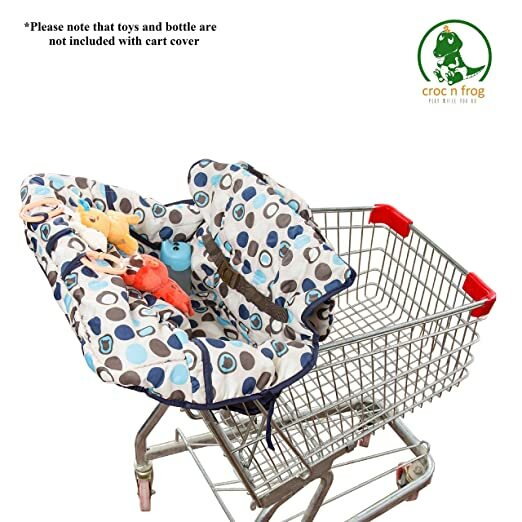 These cart covers also convert to a high chair cover to give your little one a clean and comfy place to sit. They feature toy loops so that you can attach your kiddo’s favorite toys and even have an accessory pocket to store additional items. You can quickly and easily fold these covers up into the storage pouch for portability. 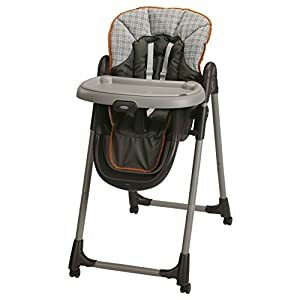 Amazon.com 现在 this 三合一的小孩座椅 Ingenuity Trio 3-in-1 Ridgedale High Chair in Grey for the LOWEST price of only $54 shipped (regularly $99.99)! An innovative 3-in-1 high-chair design that adjusts with little ones as they grow! Three modes of use include a full-size high chair, booster seat and toddler chair – all in one chair. The removable and dishwasher-safe tray features four locking positions to grow with baby and adjusts easily to remove. 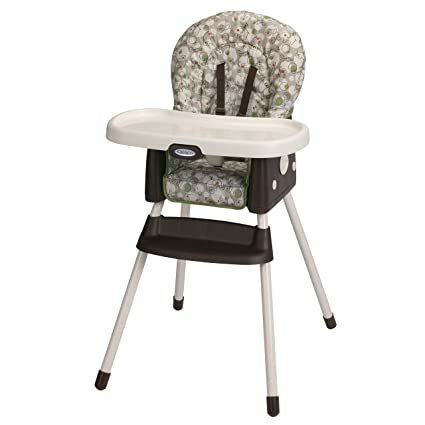 Walmart.com now you can get this Evenflo Flat Fold High Chair in Hayden Dot for just 38.46 after you select for in-store pickup and get the $17.75 pickup discount. This ultra-slim high chair takes up less space in your kitchen and folds flat for storage. It includes a storage pouch to hold bibs and a 3-5 point harness to keep your baby safe. And best of all – the seat cushions are easily washable! 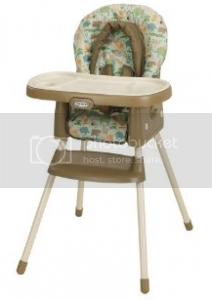 Amazon.com now you can get this Graco TableFit High Chair in Rittenhouse for only $49.96 shipped (regularly $99.99). 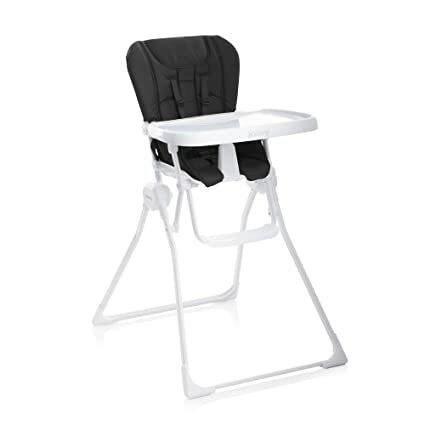 This high chair features eight height positions to help position your baby or toddler to make feeding time easier, and is perfect for kiddos up to 3 years old and up to 40 pounds. The seat pad is wipeable and machine washable for easy clean up. Amazon now you can get this highly rated Cosco Simple Fold High Chair for only $19.41 shipped (regularly $39.99) – best price! 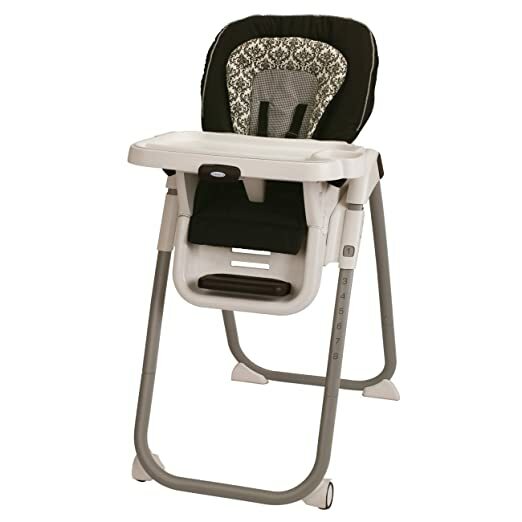 This high chair has an easy wipe seat and a full size 3-position tray with a built in cup holder and 3-point harness; it also folds flat making it easy to store or transport. Amazon.com now get this Graco Simpleswitch Portable High Chair and Booster in Zuba print for just $42.74 shipped (regularly $79.99). This high chair comes apart to become a booster seat that can be added to any kitchen chair as your kiddo grows! And the best part – the seat pad is machine washable. Amazon now you can get this Graco Swivi Seat 3-in-1 Booster High Chair in Whisk for only $39.19 shipped (regularly $56.99). This Graco high chair is designed to grow with your child from reclined for infant feedings to booster for table meals for toddlers. Amazon Prime members only, now you can get this Joovy Nook High Chair in Black for just $73.80 shipped (regularly $119.99) – lowest price ever! 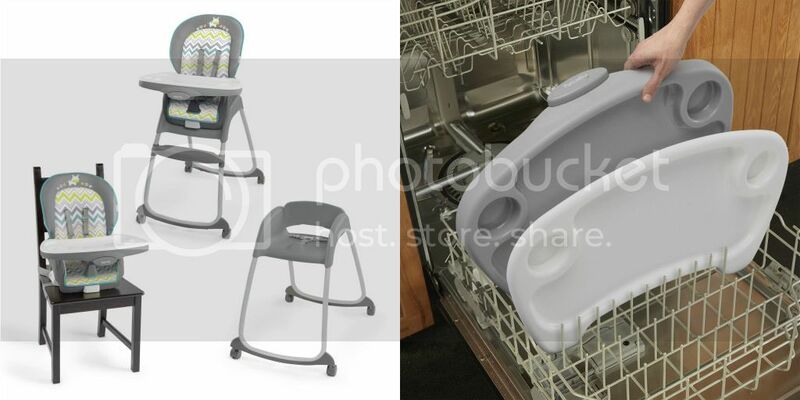 This high chair features a removable swing open tray with 4 adjustable positions that can be operated with one hand and tossed in the dishwasher when it’s time to clean up. It also folds up like a beach chair so it’s easy to store in your pantry or closet. Best of all, it comes fully assembled! Sweet! 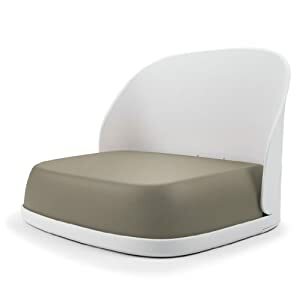 Amazon 现在 this Summer Infant Pop N’ Sit Portable Booster in green/gray 打折后 for only $22.99 (regularly $34.99). This portable booster seat makes feeding time easy with a removable tray, innovative pop and fold set-up, and over the shoulder carrying bag. On Walmart.com you can now buy this The Very Hungry Caterpillar Happy and Hungry 3 in 1 High Chair for only $37.76 shipped (regularly $68.49)! This chair can be a booster seat, high chair or youth chair (up to 6 years old). 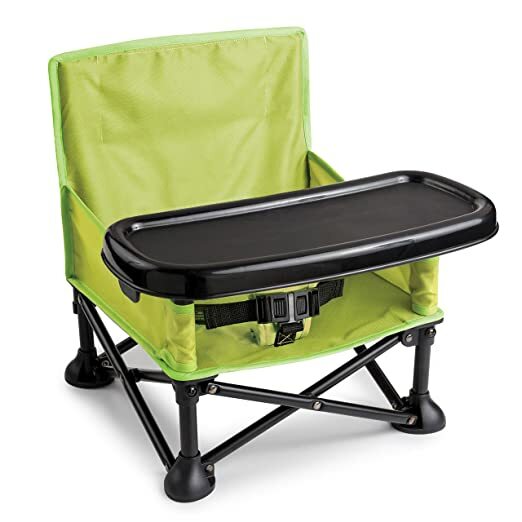 It features a removable and dishwasher safe tray, 3 and 5 point adjustable harness and an adjustable foot rest. The designs are based on the popular children’s book, The Very Hungry Caterpillar.